I was at university with Denise and she trained in the same job as me, Resource Teacher Learning and Behaviour (RTLB). Denise and her partner Peter visited me in Bangkok while they were exploring Asia. Our inspirational friends, Denise Duke and Peter Mounsey, are volunteering in Nepal to help with (re)building homes before the monsoon begins and helping kids recover from the trauma of their experience with the earthquake. Their next project is a library for the school. They will be joined by other RTLB friends of ours Debi Futter and partner James in November. Denise adds “Just to prove the truth of the old axiom that time spent in reconnaissance and planning is never wasted, we are chuffed to report that in less than two days after being presented with an unpainted room at Ghusel School, we had a refurbished space, new shelves up and loaded with books, all books stamped, stickered and registered. In short, a functioning library for the school. The first in the area. Heartfelt thanks to those friends who contributed to make it happen. 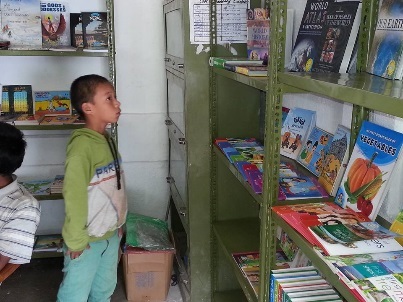 "The work will be ongoing, as we intend to continue augmenting and expanding it to a full community library, with the ongoing assistance of CASD Nepal (Common Action for Sustainable Development). Here we are with School staff and village headman, Govinda Gautam, (left of picture) at the handover. How can Plimmerton Rotary be of assistance? Gwyn has offered 5-6 banana boxes of books from the book Fair in March. How can we get these to Nepal without the village having to pay tax? Original generation time 1.5290 seconds.